Mi Casa – For some reason, after a long day zipping up and down a mountain in the cold you really crave a margarita. Not sure why but I’m 100 percent okay with this weird phenomena. At the south end of town and close to Peak 9 is Mi Casa. The bar is first-come, first-serve and packed for happy hour. The restaurant is rather large and great for accommodating large groups. 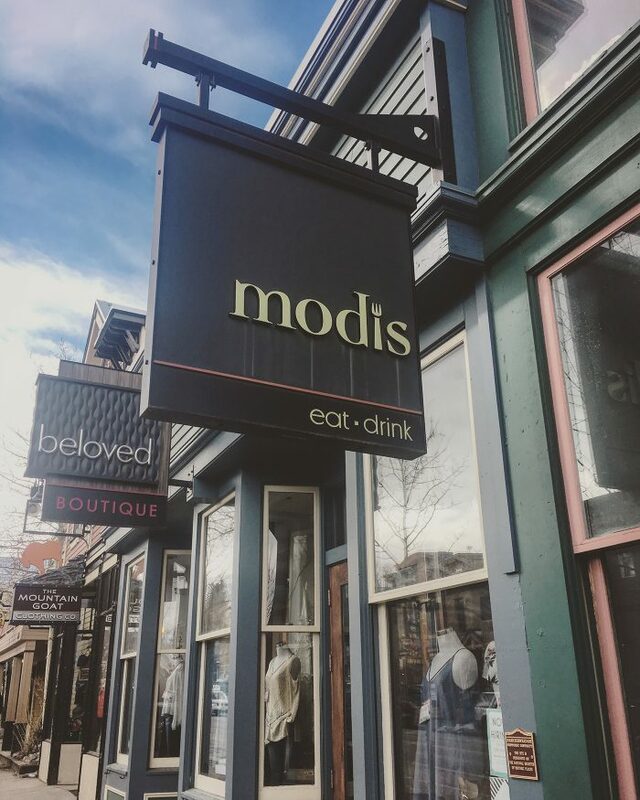 Modis – Hands down my favorite place to eat in Breckenridge. Everything on the menu is delicious, the prices are reasonable and the service is incredible. I also appreciate their reasonably priced wine list. Nothing like a great glass of wine and a warm bowl of miso ramen to warm up after a day of skiing. 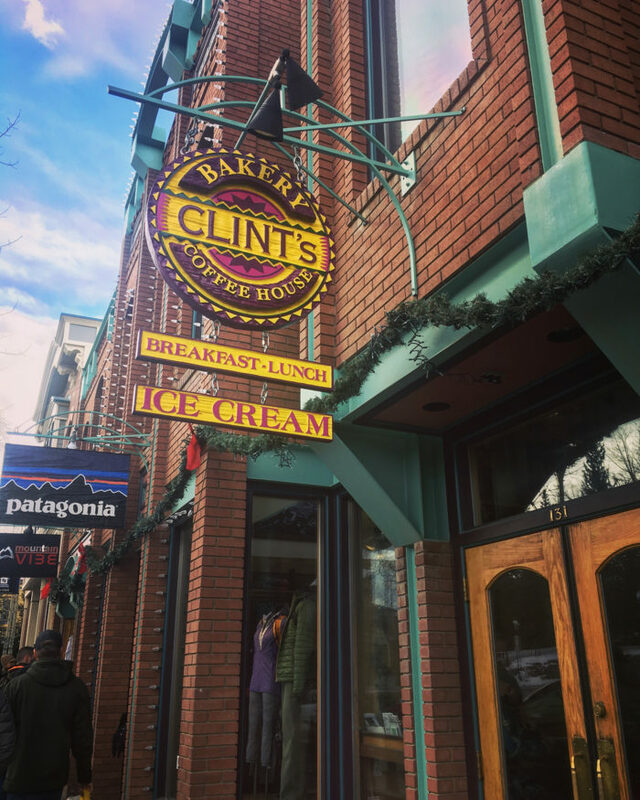 Clint’s Bakery & Coffee House – WAKE UP! 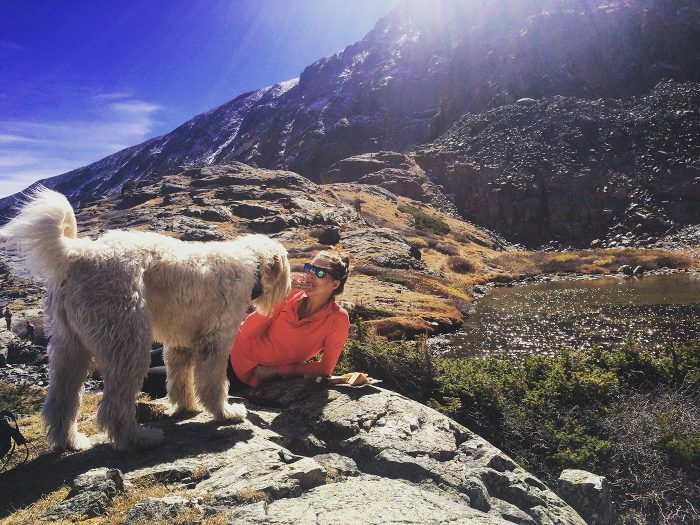 You didn’t come all the way to Colorado, not to ski, hike, fish or breath that fresh mountain air! But those craft beers hit you hard and you’re feeling it today. Head downtown to Clints for a bagel, coffee and maybe a slice of cake to wake you up. Downstairs at Eric’s – Huge restaurant and bar with killer pizza. This is great for groups, families or watching a game. Plus there is a huge arcade. 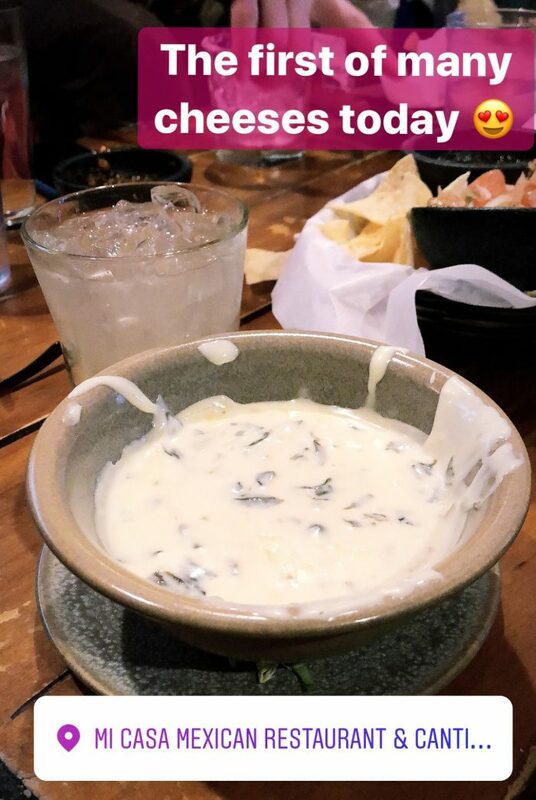 The Canteen Tap House & Tavern – Amazing drinks and food – I love their margs, queso, flatbread and wings. The Motherloaded Tavern – For ice-cold beer and comfort food, the Motherload tavern will hit the spot. Live music daily too! Moe’s Original BBQ – Good ole Alabama barbecue but in Colorado. Their porch nachos are my kryptonite tonight. I have a serious addiction to them. Also, they have sweet tea!! Other spots: Breckenridge Brewery & Pub, Blue River Bistro and Blue Moose Restaurant (for breakfast). Blue Stag Saloon – Classic bar with nice outdoor fire pit. Brooklyn’s Billiards – Pool hall and bar. The Motherloaded Tavern – Live music and beer. Yes please! Après Handcrafted Libations – Fancy cocktails and craft beer. 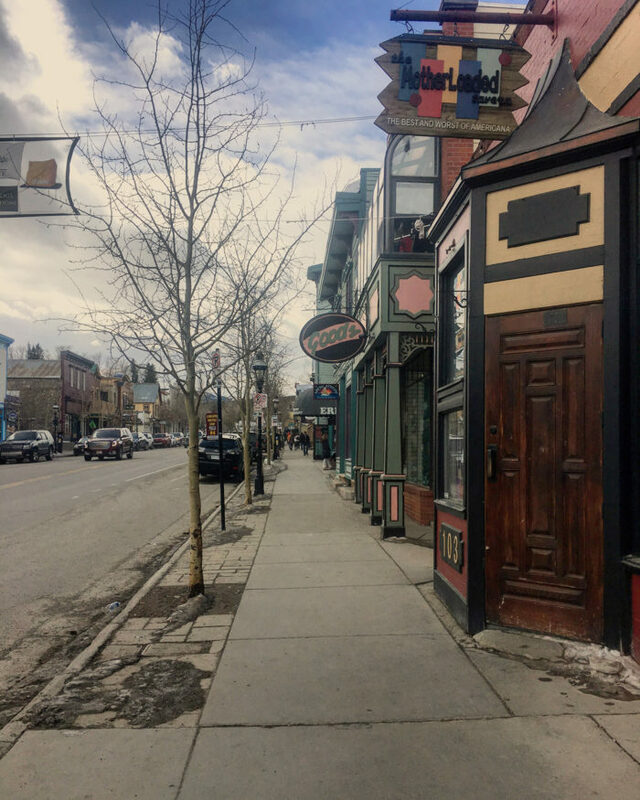 Breckenridge Tap House – All the craft beer. Liquid Lounge & Cecilia’s Cocktail Bar & Nightclub – The “clubs” of Breck. Both bars will have a DJ spinning starting around 9. Cecilia’s will probably have a cover and is closer to a real club with bottle service. Liquid Lounge is a bar with a DJ and never has a cover. If I am out in Breck you will find me at Liquid Lounge. Gold Pan Saloon – Bar that feels like a barn with a DJ. Buy your ski passes in advance and online!! You are guaranteed the cheapest ticket and you can avoid some long lines. If you know your boot size and type of ski you can also reserve all your gear online and pick it up when you get to town. I highly suggest reserving all your rental gear online before your trip. I have had friends hop from ski shop to ski shop just trying to find skis to rent on busy weekends. Christy Sports or Main Street Sports is where I have rented from in the past. Breckenridge is really wide. From town looking at the resort, the furthest peak to your left is Peak 10. The peaks go down to the fairly new Peak 6 on the far right. Peak 9 and 10 is accessible from the south side of town. You can either get dropped off or park at a nearby lot and walk the 100 yards or so to the Quicksilver SuperChair. By bus, hop off at the Beaver Run SuperChair. To access the rest of the mountain, you will need to take the gondola. Taking the gondola is the most popular way to access the mountain and often very crowded. The gondola starts in the middle of town and makes three stops. The first is at a residential area, the second stop is at Peak 7 (Independence SuperChair) before continuing to the base of Peak 8. Peak 8 is the main base of the mountain. There is another chair accessible by bus or car (drop-off), the Snowflake Lift. If you are staying on the mountain, you will probably use this lift. Peak 8 can be very crowded because of the gondola drop-off so I tend to avoid this area. However, the T-Bar and patio are great on a sunny day. 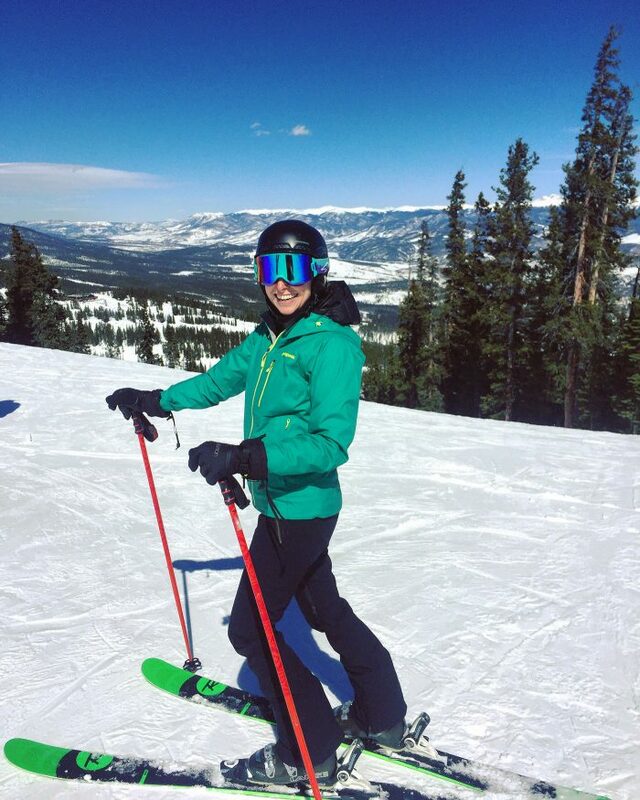 If you’re just learning to ski, I highly recommend going to the base of Peak 9. This area offers some great long flat runs to get your legs under you. 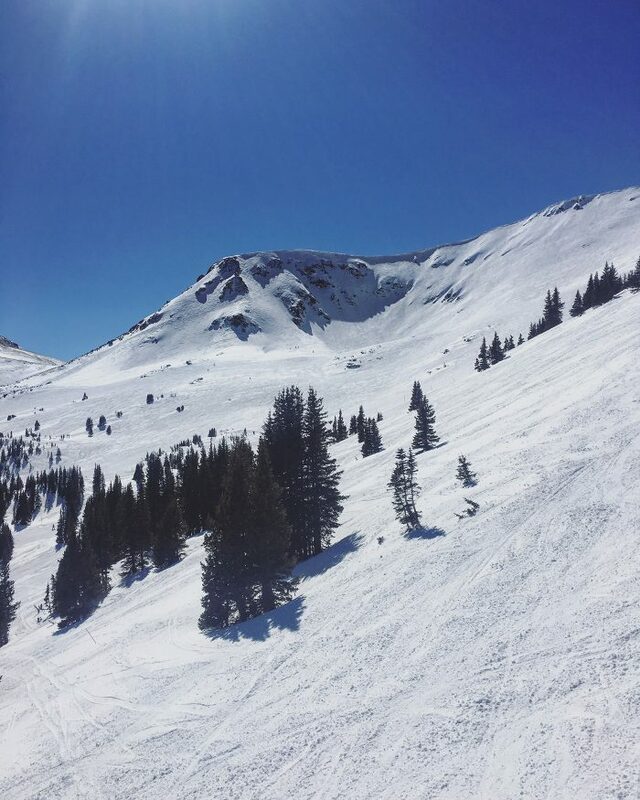 For the more advanced skiers, you will love Peak 10 and the T-Bar above Peak 8. 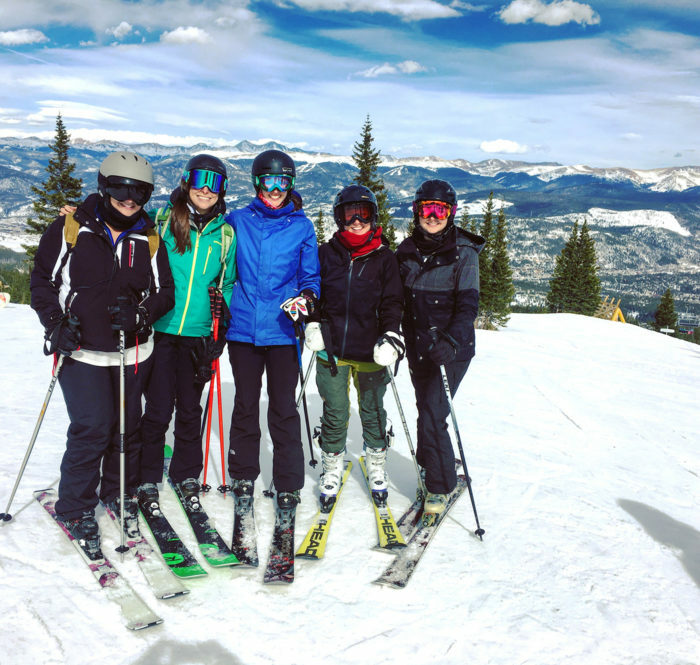 6-Chair and E-Chair are off the beaten track for most resort skiers. 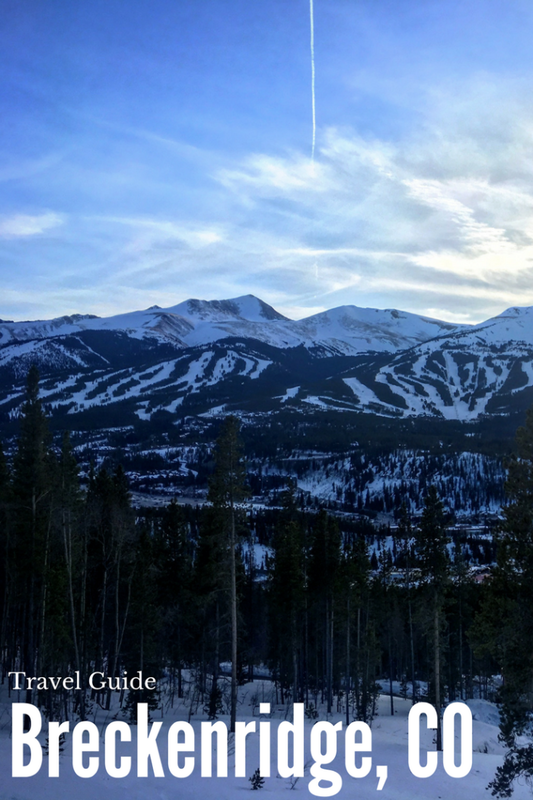 Ride the Imperial Express SuperChair, the highest lift in North America to hit the top bowls in Breck. Love trees? Head over to Peak 9 and ski between Upper Lehman and Briar Rose. Peak 6 also has some great trees. These runs will literally take you all over the mountain. Peak 10 – Falcon SuperChair is never that crowded but the runs are steep and quick. Lots of bumps and trees of this peak too. 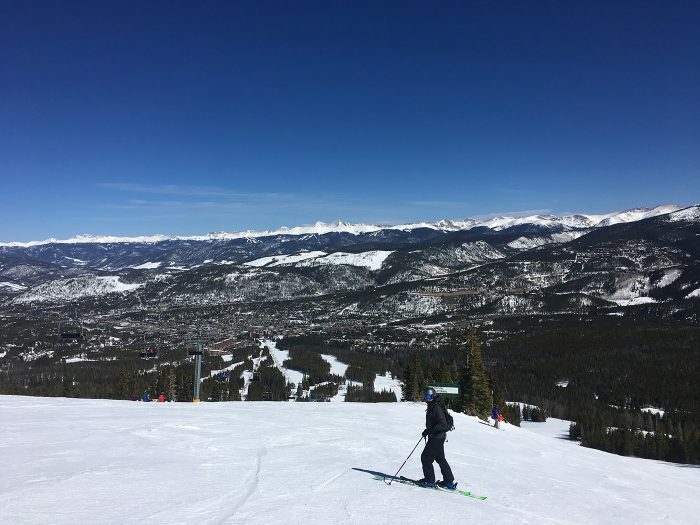 Peak 9 – I tend to stay on Peak 9 when I ski Breck. Lots of great runs with a mix of bumps and trees. Plus the area is not as crowded. Peak 8 – Peak 8 can be very crowded because of the gondola drop-off so I tend to avoid this area. But it does offer a variety of blues, greens and blacks. 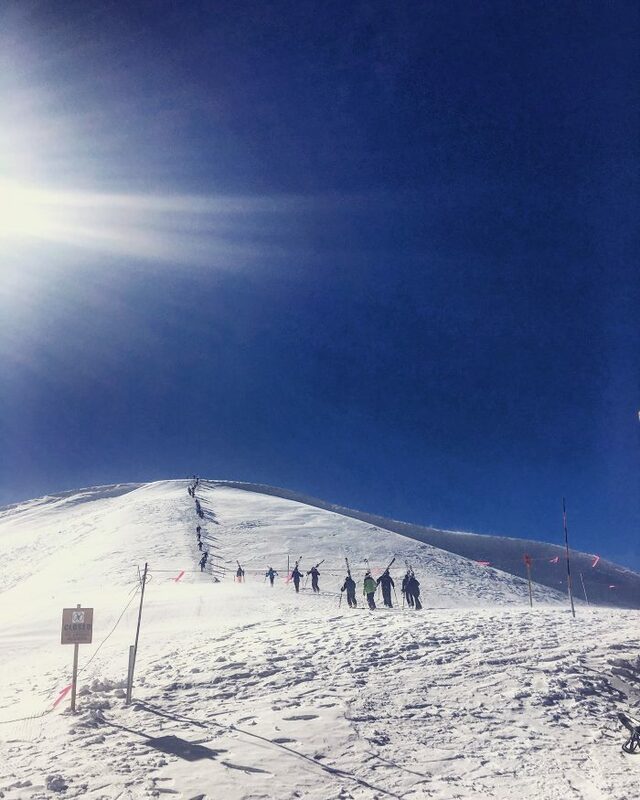 Peak 7 – Great for ripping down blues, these long rolling runs are fun for everyone. 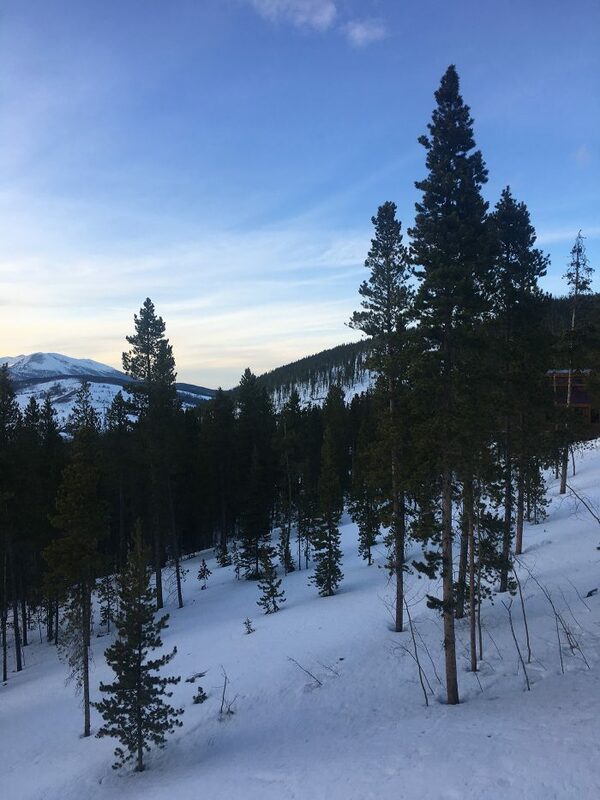 Peak 6 – If the winds aren’t too bad I suggest heading up Peak 6 for spectacular views of Summit County. This very exposed peak offers great blacks and blues for the more advanced skier. Any activity you wanna do, Brecks got it. I hiked my first 14er outside Breck! 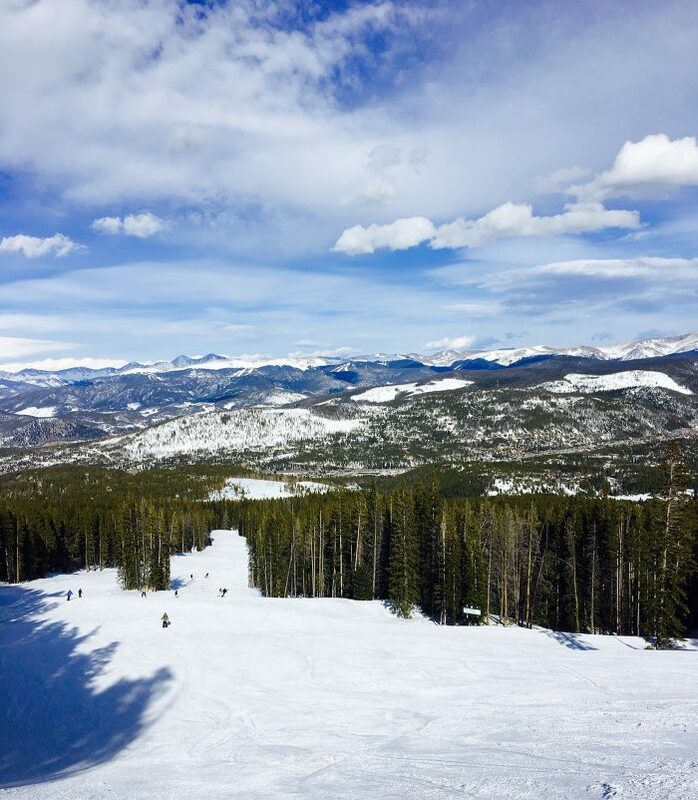 For hiking, fishing, whitewater rafting, and more, head to Go Breck to discover all Breck has to offer. Breckenridge Epic Adventure – In the summer peak 8 is transformed into an adult playground. Think ziplines, roller coasters rock climbing and more. Plus there are tons of activities for kids. Read more here. 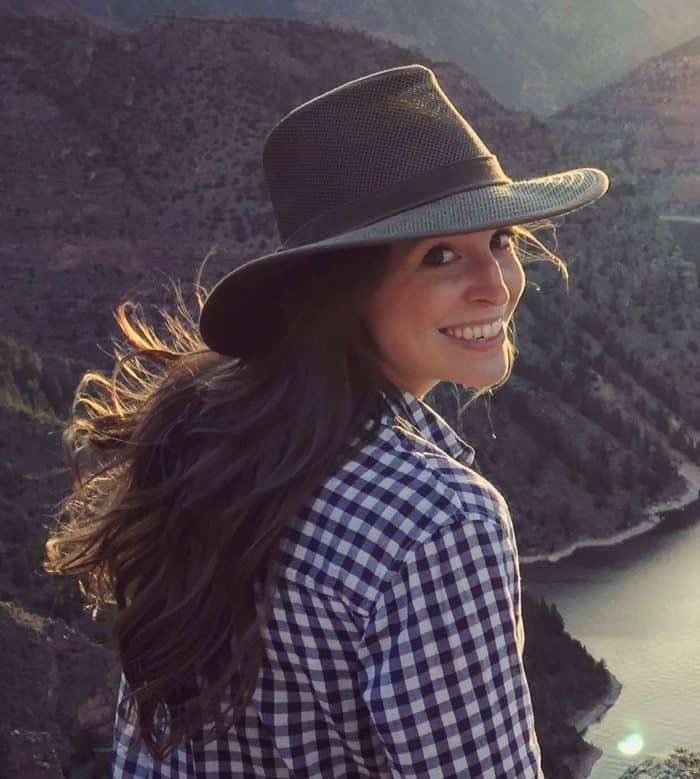 Black Powder Pass Hike – A short hike that gives you huge views. Read more here. ** I intentionally left out Spring. From mid-April when the mountain closes to May is “mud season”. The mountains are still getting sporadic snow storms and if it’s not snowing, it’s melting and therefore muddy. Best to avoid until June! Headed to Breckenridge and have some questions, leave me a comment, tweet or DM me. I love Breck in the fall but have never skied there.. it’s definitely on my bucket list! Such beautiful pictures!! !